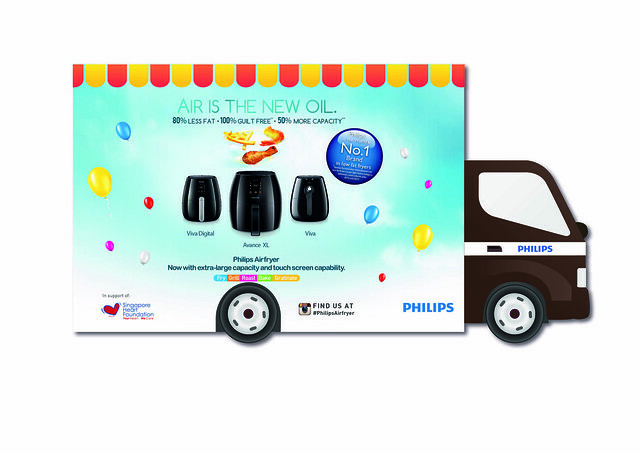 Giveaway: Philips Airfryer Celebrates 3rd Year, Snap A Selfie at Food Truck to Win a Philips Airfryer worth S$409! The Philips Airfyer turns three! It's also been crowned the world's No.1 low fat fryer brand, according to Euromonitor. 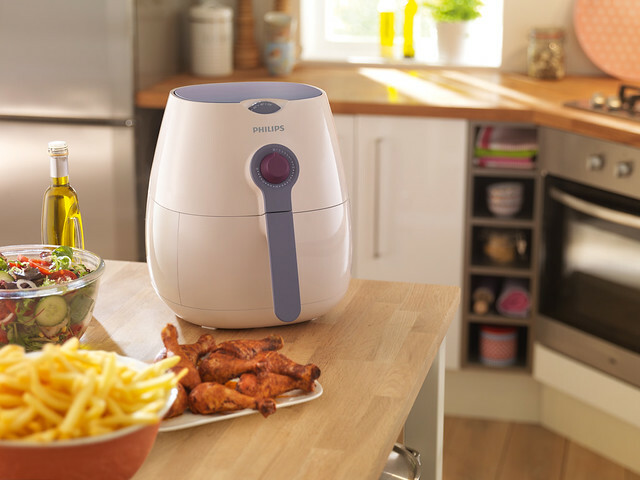 Philips' patented Rapid Air Technology (fast circulating hot air with a grill element) allows you to fry food without using oil. This results in 80% less fat in your fried food. And because there is less smell and vapour, cleanup is easier (and that is probably an even bigger godsend)! 1. Visit the food truck at any location. 2. Take a selfie (photo of self) with the food truck. Be as creative as you wish! 3. Upload it on Instagram with the hashtags #PhilipsAirfryer and #CamemberuContest. You can submit as many as you like. Please follow and tag me @camemberu too, so I can be notified. UPDATE (9 April): Philips now has an Instagram account too! Please follow and tag @PhilipsSG, if you can! 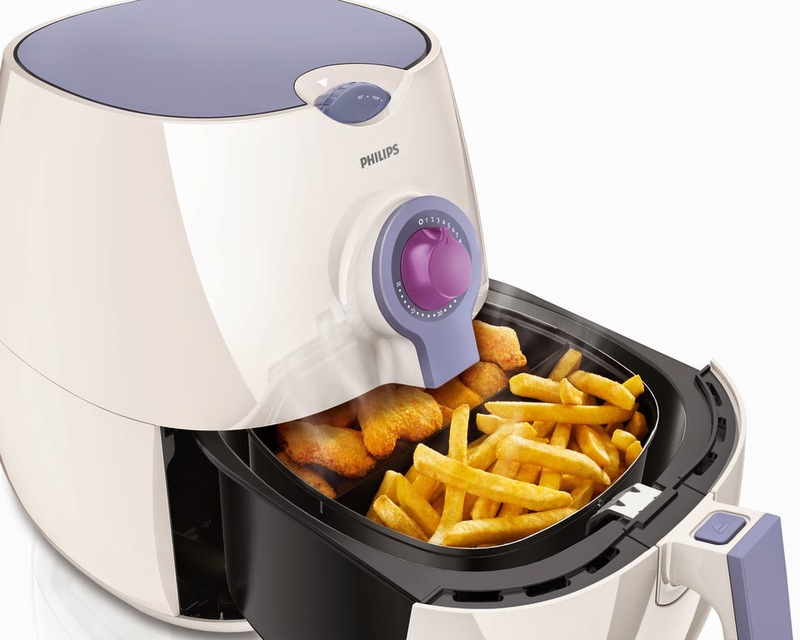 If yours is a private account, please send me a screenshot of your Instagram photo and hashtags, and email it to me camemberu @ gmail.com with the subject "Philips Airfryer Giveaway". Deadline is 11:59pm, Sunday, 20th April 2014. I will contact the winner by Instagram or email. So go on and enjoy the air-fried treats, especially if you've never tried them before. There will be goodie bag giveaways at the food truck, and discounts of up to 20% at authorized retailers too.